First Things - Christian Humanism and "The Prisoner"
David Hart has an article for First Things in which he looks at the Christian humanism of Patrick McGoohan, especially in the series "The Prisoner". (See: Imprisoned) I find from the article that David Hart is about six years younger than me because he was only four when the series was aired on US television. I remember watching Patrick McGoohan as "Danger Man" and as "Number 6", and was most impressed to read that as a Catholic with firm moral convictions, he had turned down the role of James Bond because he "objected to the idea of a hero whose chief accomplishments were killing and copulating at random." its central character—a handsome man in a dangerous line of work—is entirely devoid of any impulse towards brutality or promiscuity. And yet, for many of us who came of age watching him, McGoohan was the very quintessence of what it was to be cool. 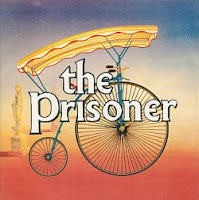 Hart also reviews the new mini-series remake of "The Prisoner". Someone should have realised how impossible that was in any case, and I'm not surprised to hear that it was "utterly and irredeemably dreadful". 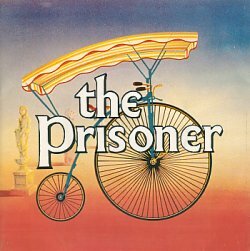 The original version of The Prisoner started from the exhilarating moral certitude that there is something inviolable in the soul worth jealously preserving against the temptations of a world that all too easily dulls the conscience and offers comfortable conformity in place of spiritual liberty. Its ending involved certain moral and narrative ambiguities, but it left one with a sense of moral victory all the same, because it seemed to insist, against various modern social pieties, that it is better to be a broken and suffering person than a contented and functioning number: better the fallen image of God than a fully working part of the system. It is not often that philosophical observations in a media review make me want to stand up and cheer.